The Wisconsin Dells First Weber office held their 3rd annual interoffice fundraiser (Weight Loss Challenge) to help the Central WI Community Action Council – Wisconsin Dells Food Pantry during the months of January thru March. With the generous matching gift from the First Weber Foundation, we were able to donate $674. 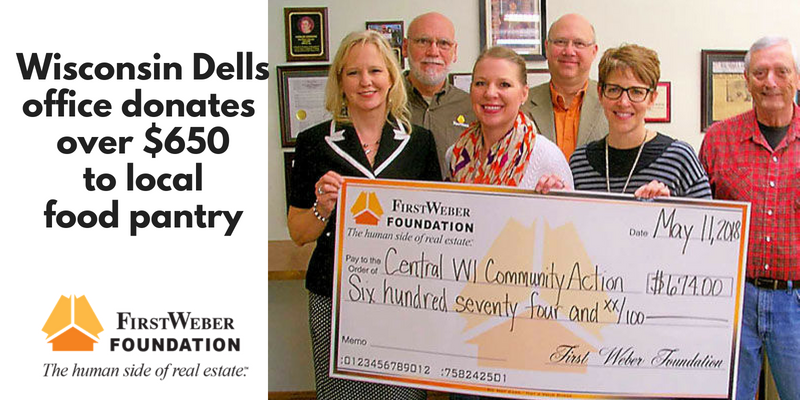 Thank you Wisconsin Dells agents and thank you First Weber Foundation!